The Hitchcock boxes both sold today…. 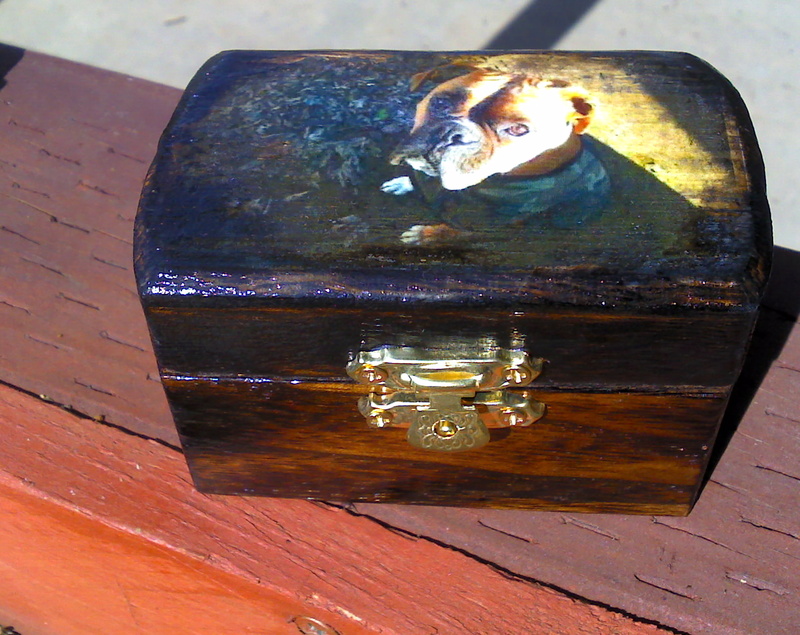 Boxes for Boxers: any box priced over $10 dollars that is sold either here or in the etsy shop, $10 dollars will be donated to rescue boxer dogs. Right now we are donating to West Coast Boxer Rescue. But I would like to open this to other boxer rescues as well. If you are part of another boxer rescue please contact me via email or at our facebook page.